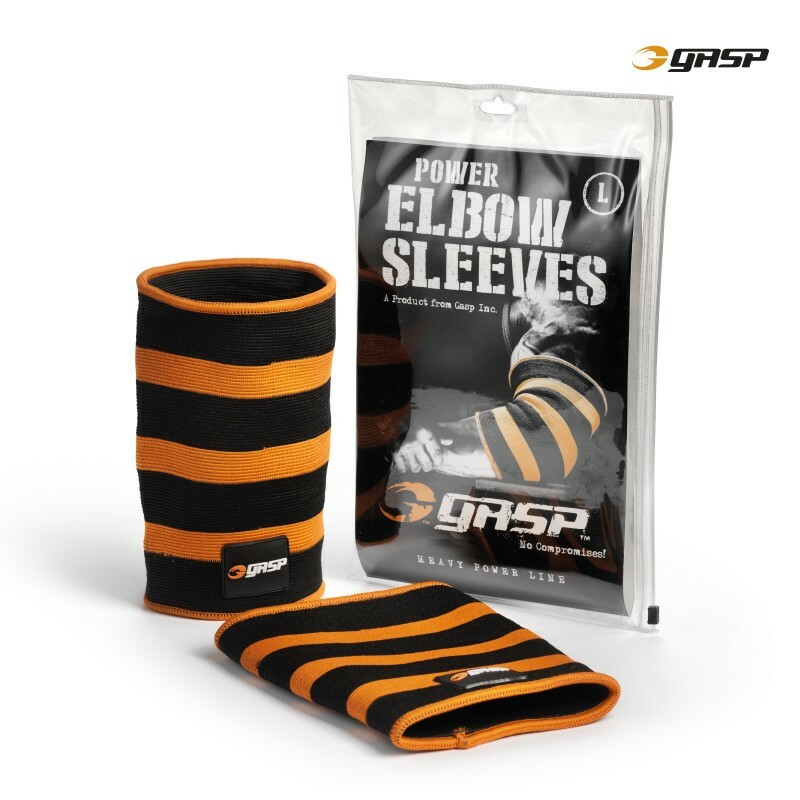 Made of durable elastic, the GASP Power Elbow Sleeves provide support and warmth for the elbow joints during your heaviest lifts. 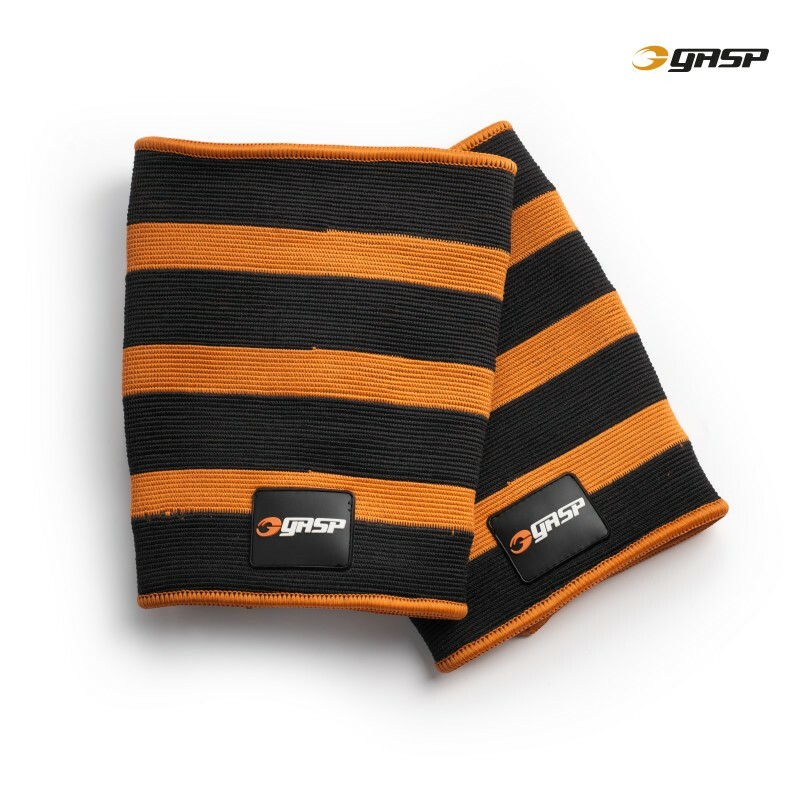 They slide on and off easily and provide better blood flow than traditional wrapping. Find Your right size for this great product by using this chart!